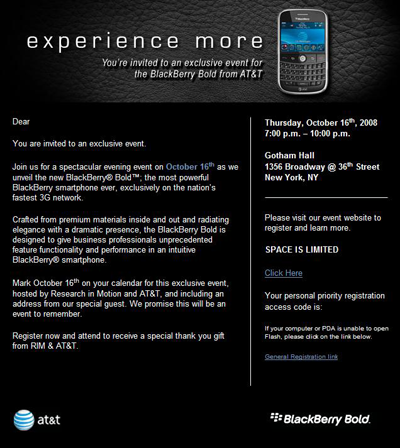 AT&T BlackBerry Bold Launch Party Invitations? Look what’s been popping up on the net? I guess the Bold might be dropping later this month after all. Who Knows? 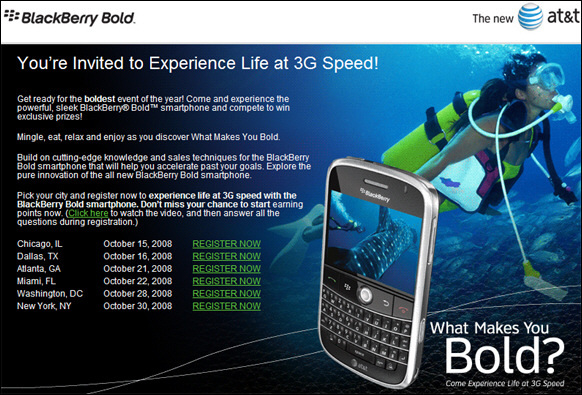 AT&T is holding an exclusive event for the BlackBerry Bold on October 16 in New York City. All invitees who attend will be receive a special gift from AT&T and RIM. I wonder what that could be?